THE MILLER FAMILY…ALL OF THEM! If you live in Creekside, Marion Center, Indiana…..or any of the surroundings areas, you are bound to know a member of this family! There is 36 total…..all because 2 people fell in love! 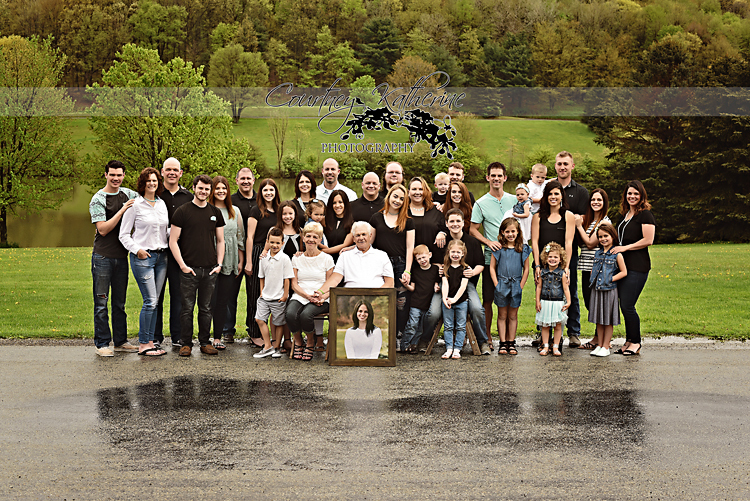 Kathy and Roger had 8 children and have 19 grandchildren so far! To get a group this large together on one day is hard, it was scheduled rain or shine! It poured all morning long, but we had a short window of no rain…and we got the shot! What a crew!